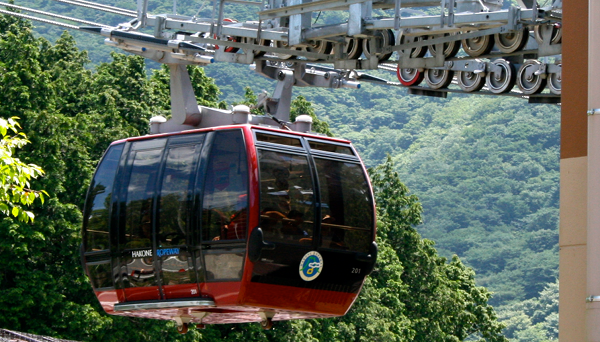 A look at the Hakone Ropeway from it's starting point in Togendai. I can’t even remember the last time I’ve been on a ropeway, but getting a chance to in Hakone was refreshing way to see the landscape around me. 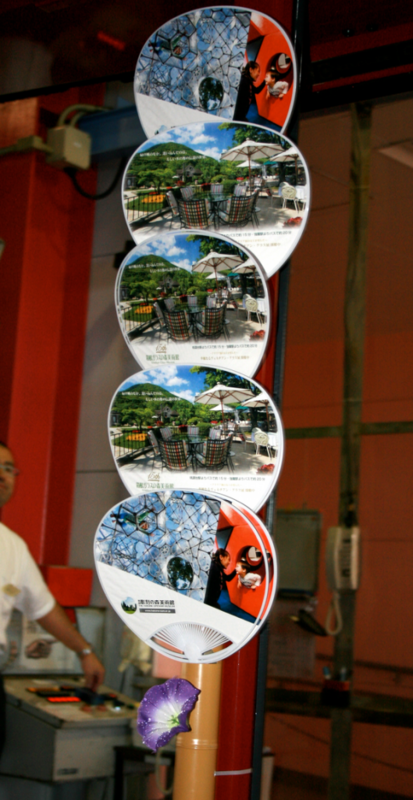 I had heard about the ropeway and Lake Ashi tours before, and had even seen some pretty cool pictures of it. Some accounts say that if you go on the right day, the tour is amazing, while others say it can be a bit of a drag if it’s cloudy. A little birthday luck must have been on my side because, it was a sunny day with almost no cloud cover…I LOVED IT! One of the great things about taking the ropeway on a clear, sunny day is that striking visual image you get of Lake Ashi, with Mount Fuji ascending subtly behind it. It’s hard to explain how this juggernaut of a mountain can be subtle, but in certain lights it almost looks like it’s been oh so gently brushed into the distance with the softest of water colors. Perhaps the mountain’s height and distance has something to do with this cool effect and why Mt. 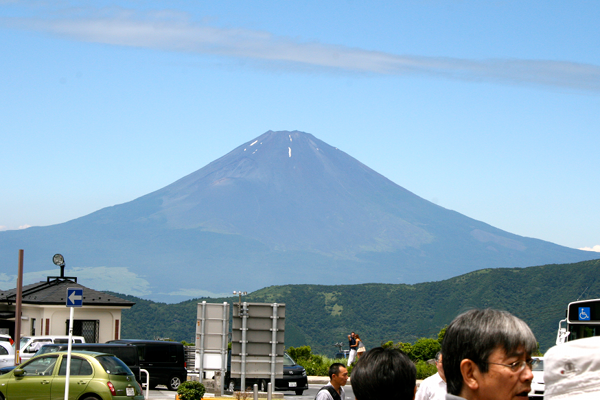 Fuji becomes so difficult to see when there are any clouds. The seating puts you a lot closer to your fellow riders than say a train, but the seats were comfortable enough. The cars moved slowly and steadily, no surpises. 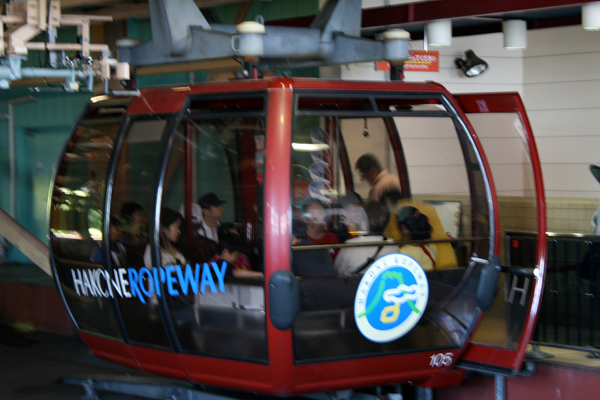 At times, the kid in me wondered when we were going to reach the tower that sent the car zooming, jet-coaster-style, down the rest of the ropeway. But nope, none of that happened..nice and steady. You do get a sense of being pretty high up, so if you don’t like heights this may be a bit of an issue, but it wasn’t so bad. 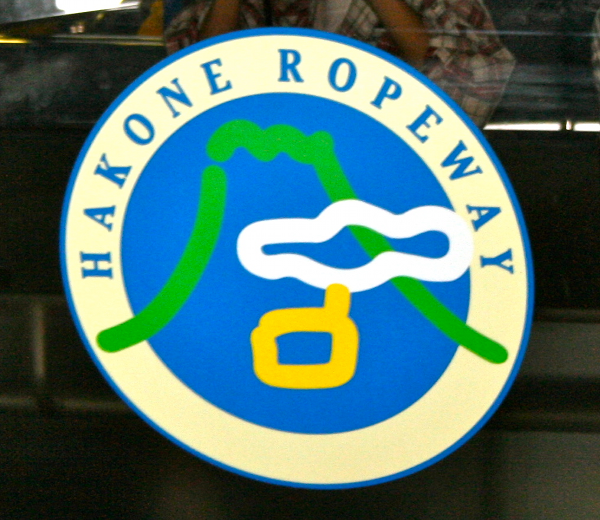 What Are the Different Stops on the Hakone Ropeway? The Ropeway is made up of four different stops: Togendai (とうげんだい or 桃源台; 741m above sea level..I think that’s right), Ubako (うばこ or 姥子; 878 m), Owakudani (おおわくだに大 or 湧谷; 1,044m), and Sounzan (そううんざん or 早雲山; 757m). How Long is the Ride Between Stops? 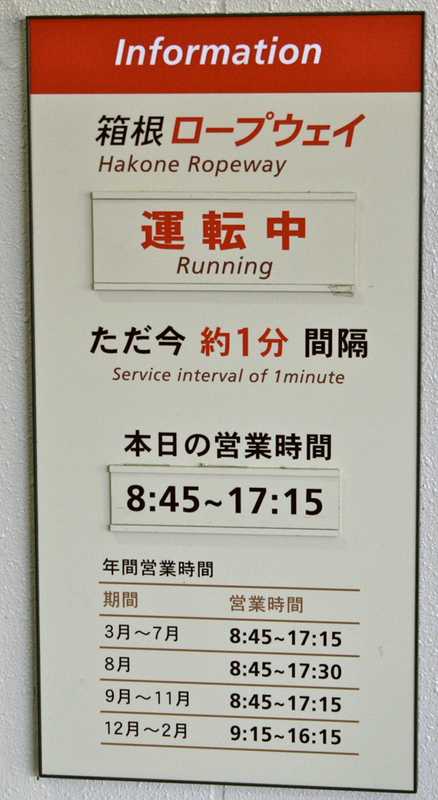 It takes eight minutes to get from one checkpoint to the next. Is the Hakone Ropeway expensive? 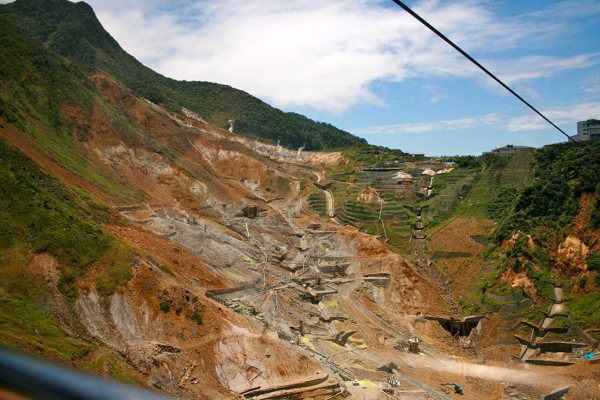 Owakduani is a special stop along the ropeway because it’s actually a volanic fissure. The cool thing about Owakudani are the kanji in it’s name, for starters. 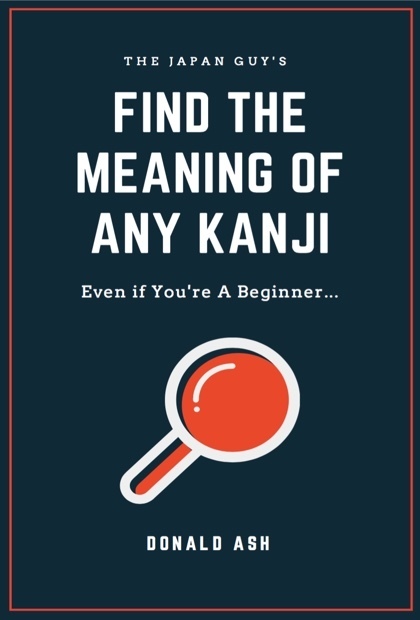 大, おお, or “o” means large, big or great, 湧, わく, or “waku” means boiling, 谷, たに, or “tani” (when you say it in the word it becomes “dani”) means valley. 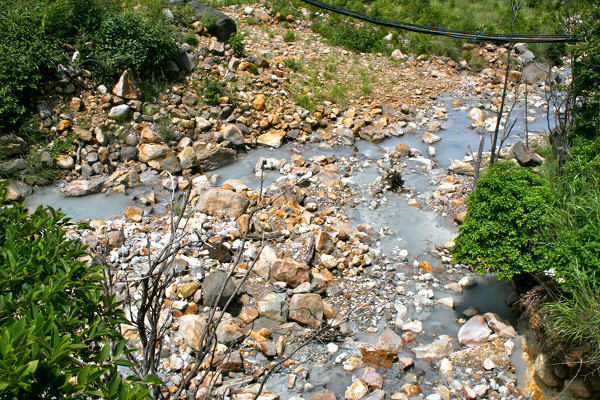 Owakudani (大湧谷)-Great Boiling Valley! 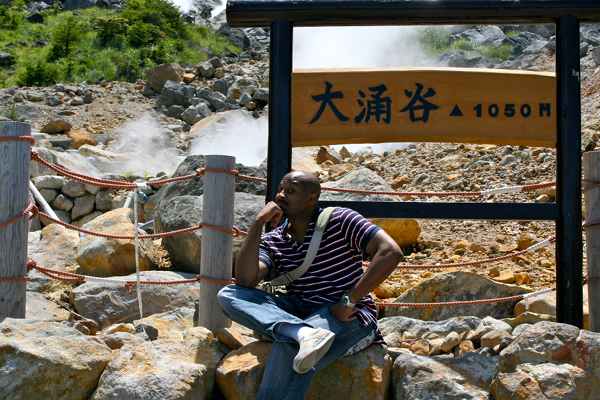 So when people ask me where I went for my birthday, I won’t just say I took a ride on the Hakone Ropeway, I’ll say “I walked through a Great Boiling Valley.” Sounds cooler don’t you think? 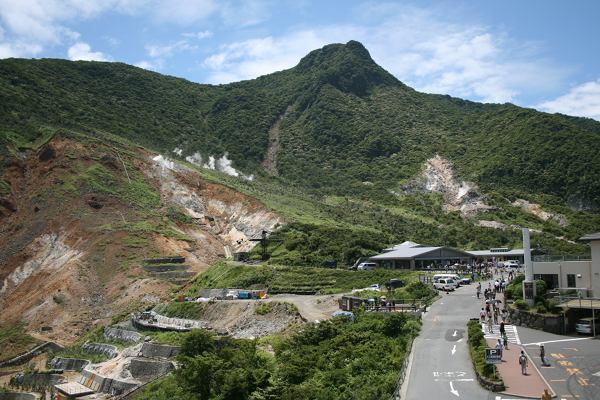 Luckily, there were no landslides, just a nice view, and an interesting look a famous, Japanese landmark. 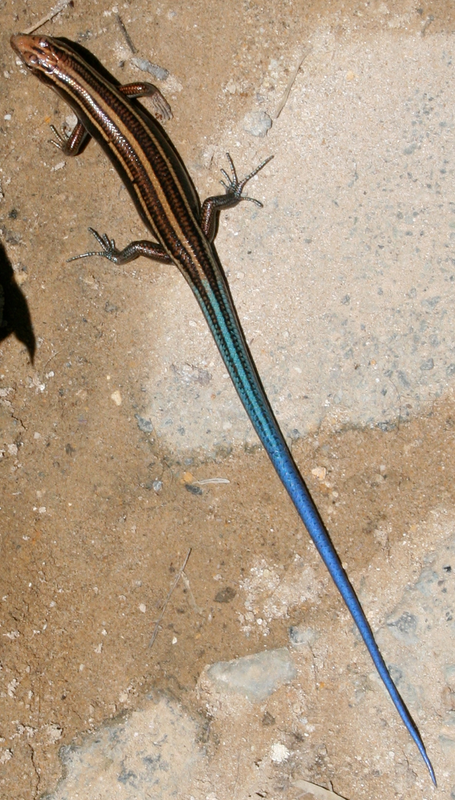 I made a cool, blue-tailed friend at Owakudani. 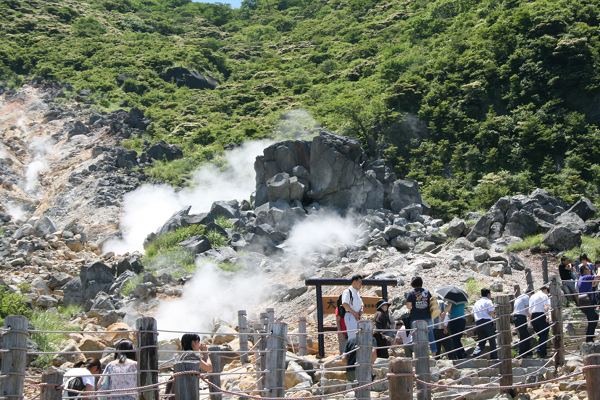 More Hakone fun to come! !